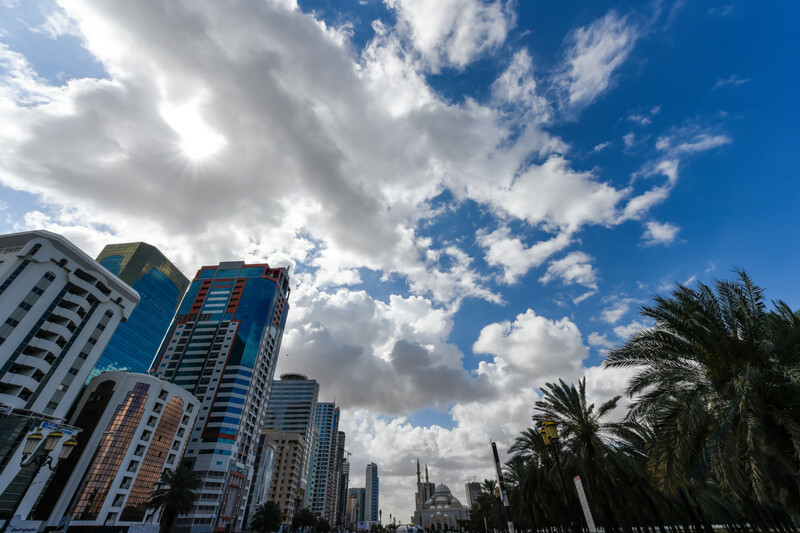 Dubai: After days of thunderstorms, rains and flash floods over the weekend until Sunday in the UAE, the wet weather will give way to partly cloudy skies and a three to eight-degree rise in temperatures in some parts of the country. Heavy rains pounded the emirates on Saturday night, particularly Ras Al Khaimah, leading to flash floods near the mountains and wadis. Ras Al Khaimah police had to rescue nearly 400 people who were stuck in the mountains while in some areas, cars were seen submerged in almost waist-deep floods. Wadi Shah got the highest recorded rainfall at 118.mm followed by Mebreh Mountains at 94.4mm. Jebel Jais received 76.9mm of rain while Ras Al Khaimah in general got 54.7mm, according to figures from the National Centre of Meteorology. The weather instability was due to a surface trough of low pressure, accompanied with upper air trough, which causes a flow of clouds from the West towards the country resulting in rainfall. 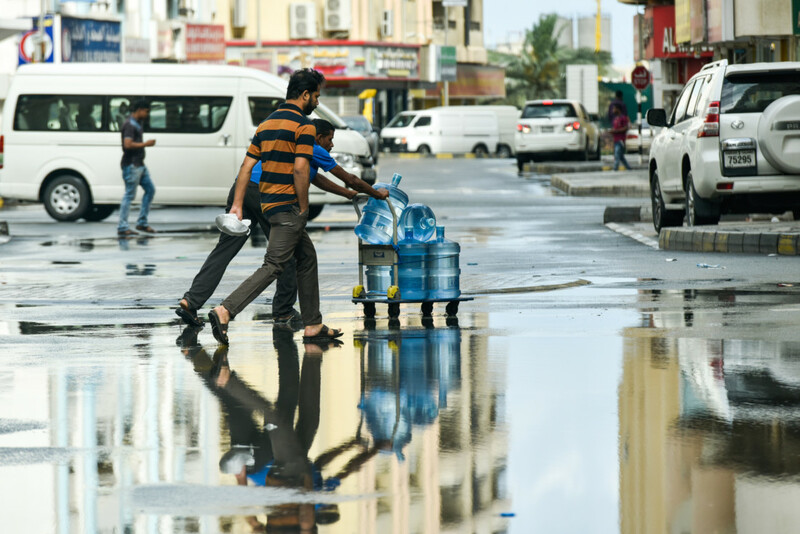 In Dubai, the Ghaith Dubai team from the municipality managed to clear rainwater catchments and keep traffic flowing in the streets of Dubai beginning Friday night, said Eng. Talib Julfar, CEO of Infrastructure Services Sector and Team Leader Ghaith Dubai. He said the team followed the meteorological maps of the areas expected to form cumulus clouds accompanied by rain. “The Palm Jumeirah station recorded 25.6mm of rain, which was the highest rainfall in the emirate, accompanied by surface winds in some areas at a speed of 54km/h, which caused the rise of the sea waves,” he said. Forecasters expect rain clouds to clear beginning Monday but the skies will remain partly cloudy giving residents fair weather throughout the week. Relative humidity will increase by up to 90 per cent at night and early morning over Dubai, Abu Dhabi and Sharjah on Monday. The mercury will gradually rise with Dubai seeing a three to four degree-Celsius change from a high of 28C on Sunday to 32C on Tuesday. The average maximum temperature of Abu Dhabi will also rise from 29C on Sunday to 36C on Tuesday. 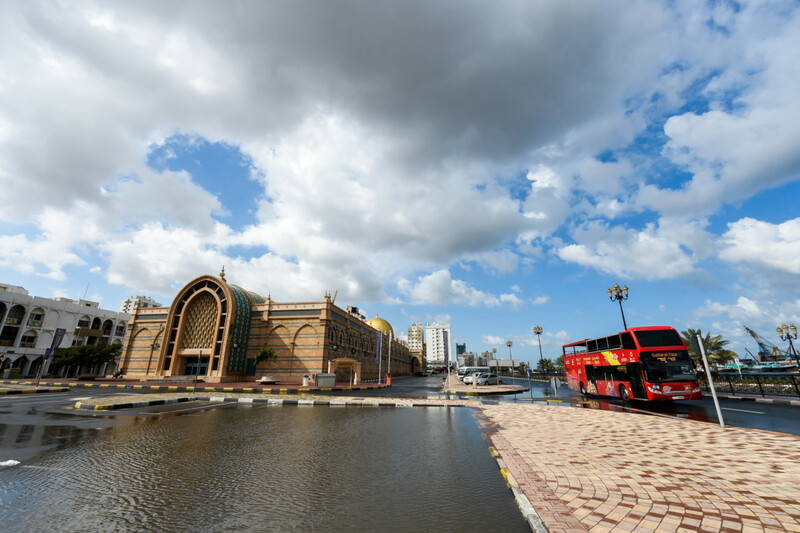 Ras Al Khaimah will get the highest jump of eight degrees from 22C on Sunday to 30C, although it is still relatively cooler compared to the rest of the country as it is near the mountains. Evenings until mornings will remain cool with lows of between 15C to 19C in Dubai, Abu Dhabi, Sharjah and Ras Al Khaimah.